Painting is turning out to be the thing I feel most like doing right now. My studio feels like a sanctuary of calm and the images of the ocean are what I'm drawn to for subject matter. I took the photo reference for this one a few weeks ago. 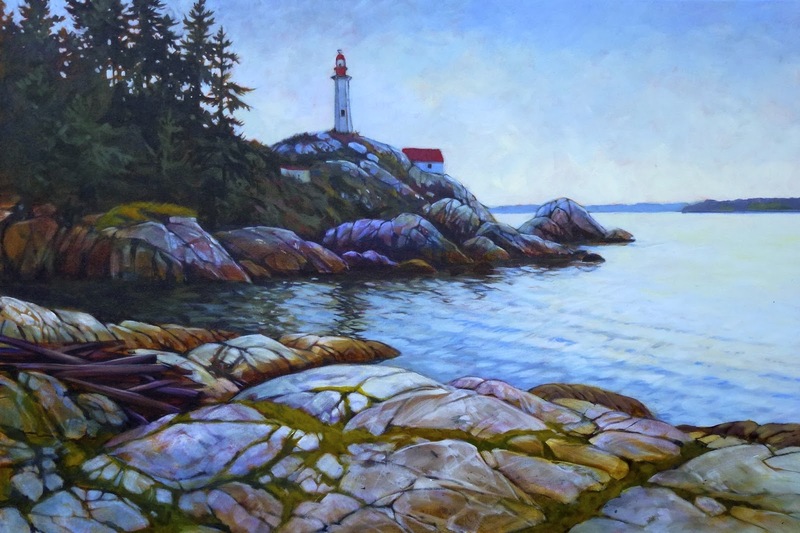 Lighthouse Park in West Vancouver has been painted many times so I hope I was able to bring something original to my rendition. Here's my first completed painting for 2014. 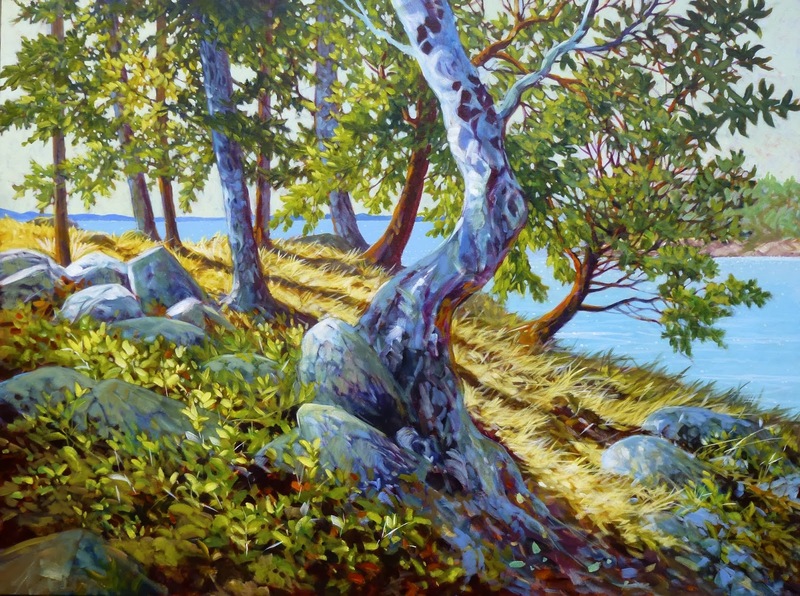 It's from my favourite spot on Pender Island. I'm dedicating it to my dad, who passed away last week after a rich and happy life of 88 years.